The social security system in Monaco also provides employees coverage for unemployment, family allowances, medical care and maternity/paternity, disability, old-age and death benefits. The social security system in Monaco provides anyone with a business licence, cover for sickness, maternity, accident and pension benefits. The CAR, “Caisse Autonome des Retraites” is the general pension scheme. The contribution is limited to the first Euro 4,760 of gross salary. The “Caisse de Compensation des Services Sociaux” covers situations of illness, maternity, invalidity or death. The limit is index-linked and modified in January and October of each year. The contributory percentages are subject to change at the same times each year. The contribution is limited to the first Euro 8,500 of gross salary. Monaco salaried employees are covered for risk by the French ASSEDIC system. Two rates are paid depending on salary level (i) up to the first gross salary ceiling limit and (ii) from the first ceiling level up to four times that level. The contribution is limited to the first Euro 13,076 of gross salary. The AMRR (AMSF-UGRR) contribution is paid on the total gross salary unless the employee has executive (“cadre”) status. Two rates are paid depending on the salary level. (i) up to the first gross salary ceiling limit and (ii) over the 1st salary level , another contribution on basis of the overall salary amount. The contribution is limited to the first Euro 3,269 of gross salary. The rebate is paid directly to the employer for reimbursement of employers contributions (CCS and CAR) it has paid to the Social Funds in Monaco, of about (33.20 %) of the gross salary effective 1st October 2016. This support is provided for a period of one year, possibly renewable for another year if the employer allows the employee to benefit from in-house training. A pension is only payable if the employee has worked in Monaco for a minimum of 10 years. However, an employee having left the Principality before the 10 years limit may request reimbursement of their contributions on reaching retirement age. There is a maximum cover of (80 %) of the official tariff for doctors, ambulance, hospital, laboratory, specialists’ and surgeons’ fees both for illness and accident (including sports accidents). There is a sliding scale of reimbursement depending on household salary/resources. Private supplementary insurance (“Assurance Mutuelle”) that “tops up” the remaining (20 %) or more is also available as an option. To be covered, it should be noted that when making a claim, a minimum of (i) 200 hours must have been worked during the three preceding months or (ii) 120 hours during the calendar month or preceding 30 days. If after having worked for a minimum of 610 hours an employee is either fired or made redundant, they are entitled to approximately(57 %) of the average gross salary earned over the same period of work (including any bonuses paid etc). No benefits are paid if the employee resigns. The contribution is limited to Euro 12,516 of gross salary per month. The calculations for the AGRR are quite complicated. As a rough guide, each year an employee accumulates a certain number of points for their pension fund. Once the employee has retired, the accumulation of the points are converted in Euros and paid monthly as a pension. Families registered at the CCSS benefit from prenatal and family allowances, paternity leave, housing allowance, education allowance, back-to-school allowance, Christmas bonus, holiday cheques and nursery vouchers. Most of them are awarded only under certain conditions, for instance according to monthly income. WHO MUST REGISTER TO CARTI? Non-employed directors of Joint Stock Companies or Monegasque authors and artists are not subject to contributions. The activity must be carried out in accordance with the relevant Monaco laws and regulations. Registration must be submitted within one month from the beginning of the activity. WHO MUST REGISTER TO CAMTI? All members of the CARTI, except the ones who are both employee and self-employed for the same activity. There are 4 categories of contributions to gain 1 to 4 points per month, subject to payment of a contribution proportional to the amount of acquired rights. The amount is calculated on a basic contributions set up since 1st October 1998 and an additional rate specified each year by Sovereign Order. Business owners or self-employed can choose which one of the four categories matching with the contribution they wish to pay for. The category choice is valid until next 30th of September and is automatically renewed. It can be reviewed in October by informing the Contributions Department. Anyone starting a business is allowed to be in category 1 for the 1st year. Beyond this period, the category 1 is only reserved to self-employed whose income is less than twice the monthly base salary of the CAR, which is 2,336 for October 2016-September 2017. The person will have justify the rates chosen by providing an operating account to the Contributions Department. Before 55 years old you are allowed to move from category 2 to category 4.After 55 years old you can change of category only from to 2 to 3 and wait next year to move from 3 to 4. Throughout the duration of the activity, the contribution is due, regardless of age. Contributions allow the person to earn points for retirement beyond the age of 65. However, if the business is not stopped after seeking the liquidation of the pension, the person will still have to pay contributions although they not acquire any more points. The calculation of the contribution rate is set as a result of the forecasts of the evolution of staff and expenses of medical benefits to cover. The contribution rate is set each year by Ministerial Order. The amount of the contribution for 2017-2018 is Euro 810 per quarter. The legal age of retirement is set at 65 in Monaco. However, the pension can be anticipated before this age without any abatement in case of incapacity to work. This inability to work must be submitted and approved by the Medical Council of Social Funds in Monaco. The minimum rate of disability required for this purpose is set at 66.6%.The person must stop any occupation whatever its nature. In addition, the pension may be deferred if the person continues their activity after 65 years old. He/she will still earn retirement points. To effect your pension you must submit a written request. The person has three months delay from the day of his 65th birthday, to submit an application and receive a pension from that date. After this period, the effective date chosen corresponds to the first day of the calendar quarter in which the application for the pension is filed. To be entitled to a pension, as a self-employed person you must have contributed to the CARTI for a minimum of 120 months or 60 months spread over a minimum of 15 years, where the activity showed a seasonal pattern. When the minimum activity is not reached, no pension shall be paid by the CARTI. The number of points earned by self-employed depends on the category of contribution chosen (category 1 = 1 point per month … category 4 = 4 points per month). The amount of the pension is determined by the number of retirement points acquired. Points are accumulated throughout the career, whether continuous or discontinuous. As at 1st October , 2017, 1 point is valued at 14.856. Amount of the annual pension = (number of points) x (point value). The following benefits are payable to self-employed persons, including CARTI retired eligible parties (spouses, partners, dependent children) who do not have direct access to their own social security scheme and who reside in Monaco or in France. The benefits are granted for illness, accident, interruption of work and maternity leave (if applicable). a) The process for reimbursements starts only after the 30th day following the date of commencement of the activity. b) The participant must pay regularly his contributions.In the event of late payment, the rights are open retroactively only if contributions are paid within three months from the date of the claim. c) The member must not open any another health insurance for any current or past activity, except if working self-employed required pension, therefore the member will receive medical benefits paid by the CAMTI. d) Self-employed or retired must have a registration number granted by applying to the Health insurance organisation with all necessary supporting documents. 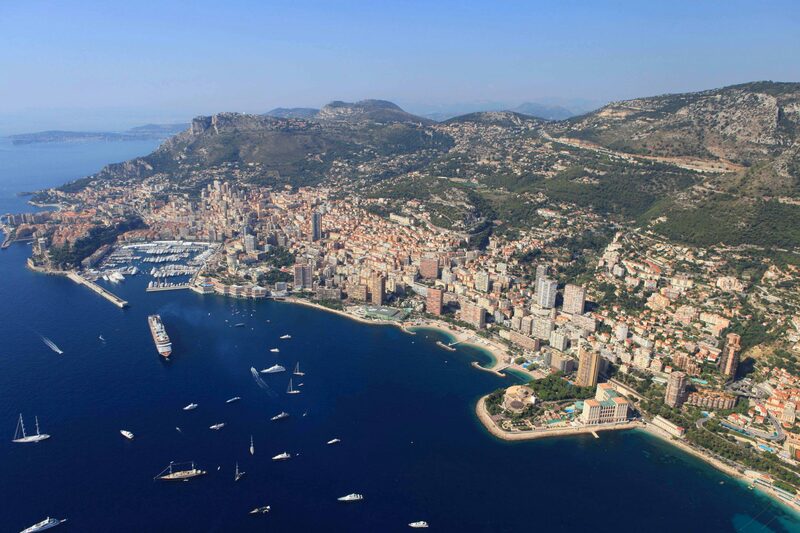 - She must reside in Monaco or in the Alpes-Maritimes (French area at the Monaco Frontier). - She should not be engaged in any occupation or entitled to medical benefits paid by another Monaco plan or a foreign one. - Be less than 21 years old (or 26 years old if still studying in a school in Monaco). - If they are older than 6 years old, be schooled in secondary or higher education or in an apprenticeship. - Be resident in Monaco or in the Alpes-Maritimes or otherwise justify their relocation for further studies, for health reasons or for a court decision. For the pensioner from CARTI, the benefits of health care are based on their place of residence. CAMTI reimburses health care to any pensioner who resides in Monaco, as long as he/she pays a contribution. Being a member of CAMTI is not compulsory if the pensioner already receives benefits of a retirement pension from an employee plan or as spouse of an employee in retirement pension. No reimbursements from CARTI. Pensioners must apply to French Healthcare organisations. No reimbursements either from CARTI or from French Healthcare.